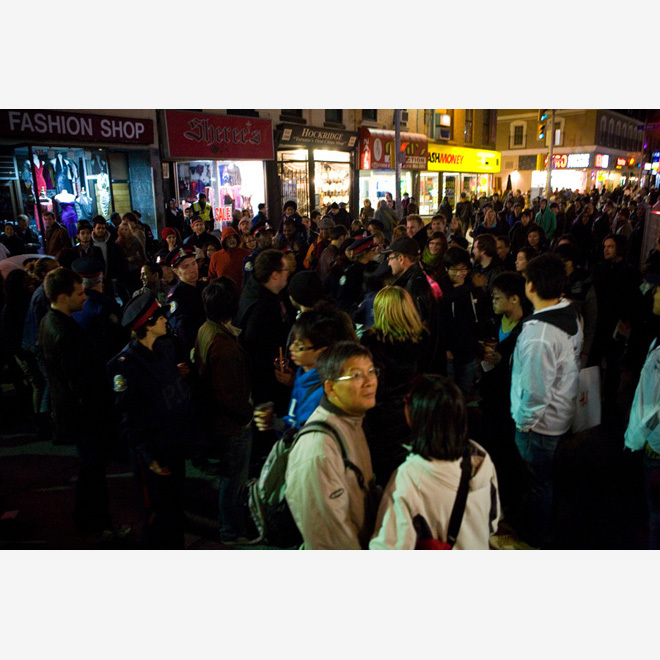 A one night performance and installation commissioned by Toronto’s Nuit Blanche. 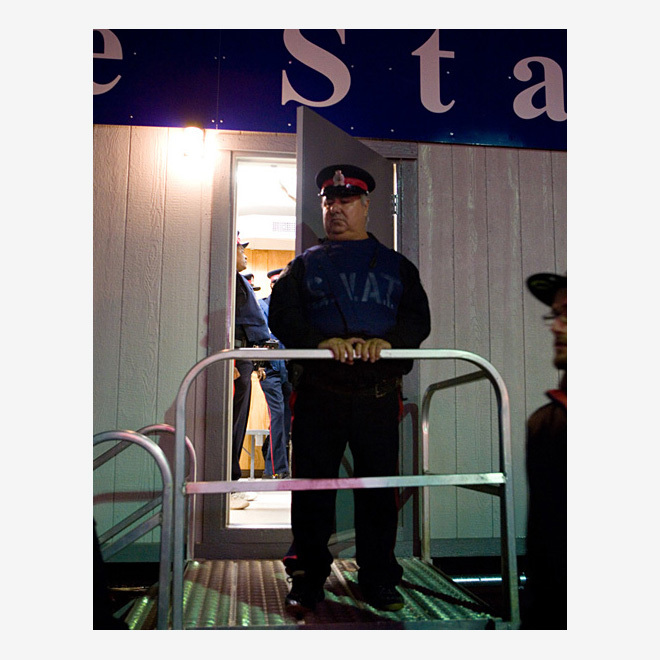 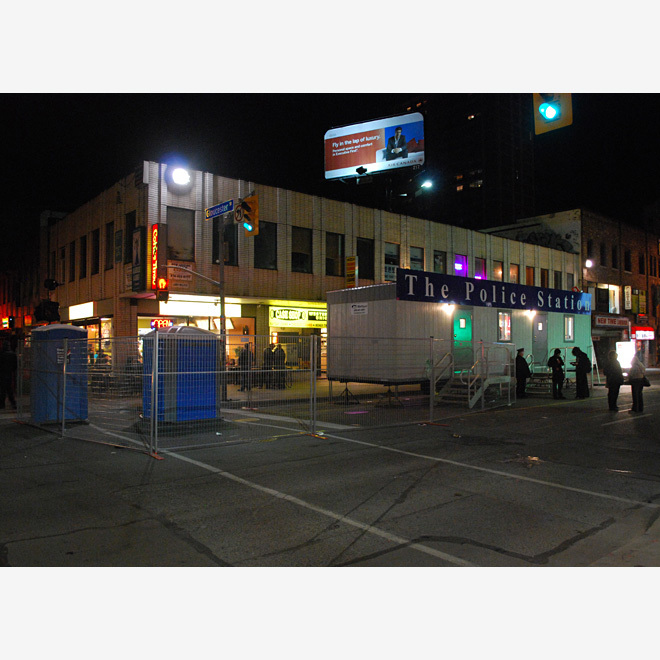 A temporary “Police Station” and detention area in the form of a portable office trailer and crowd control fencing was installed on Yonge Street in the busiest pedestrian corridor of the event. 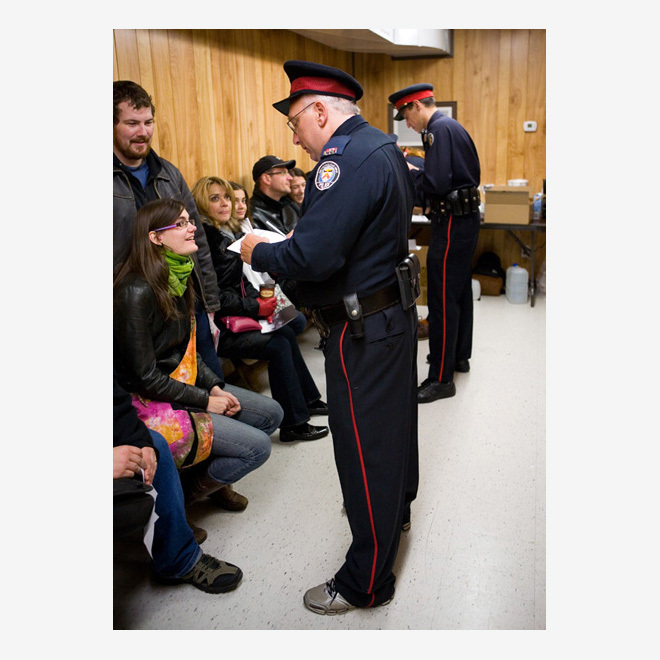 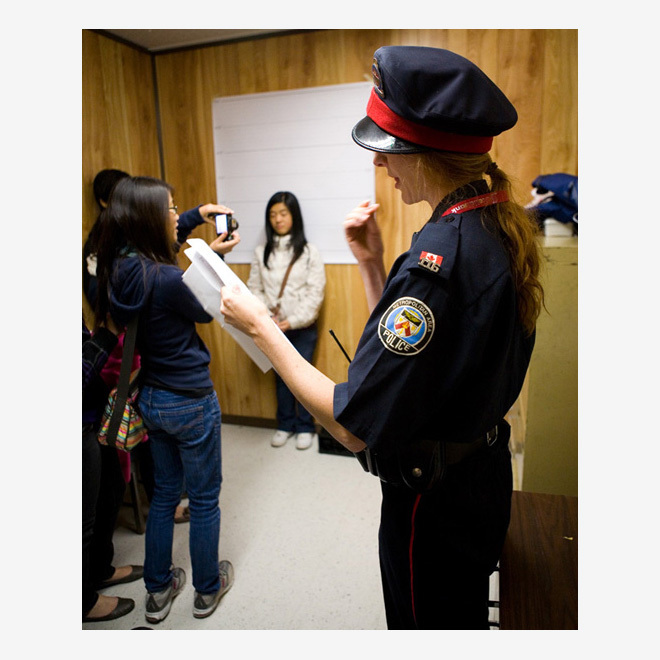 From 7pm until 7am on the evening of October 1/2 2011, fifteen actors in police costumes “patrolled” the block, and “arrested” members of the public based on randomly generated profiles. 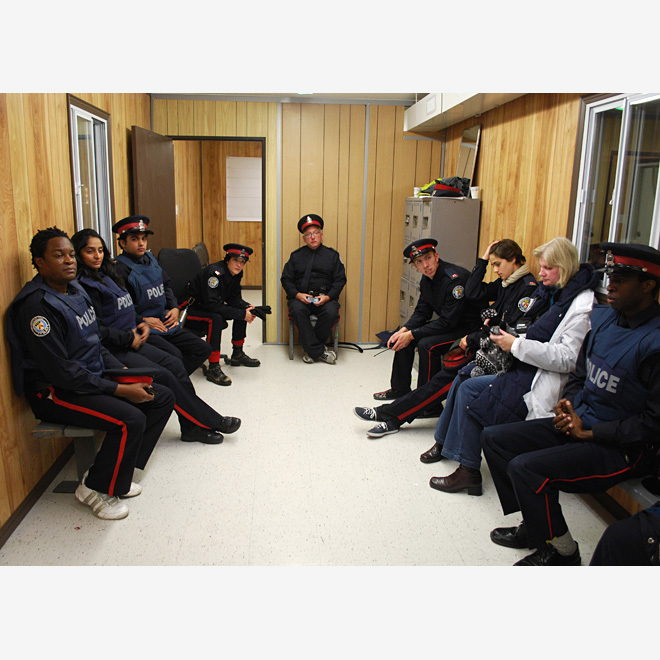 After the arrests, the involuntary participants were processed and temporarily detained, during which time conversations were fostered about politics, police, surveillance in relation to local communities. 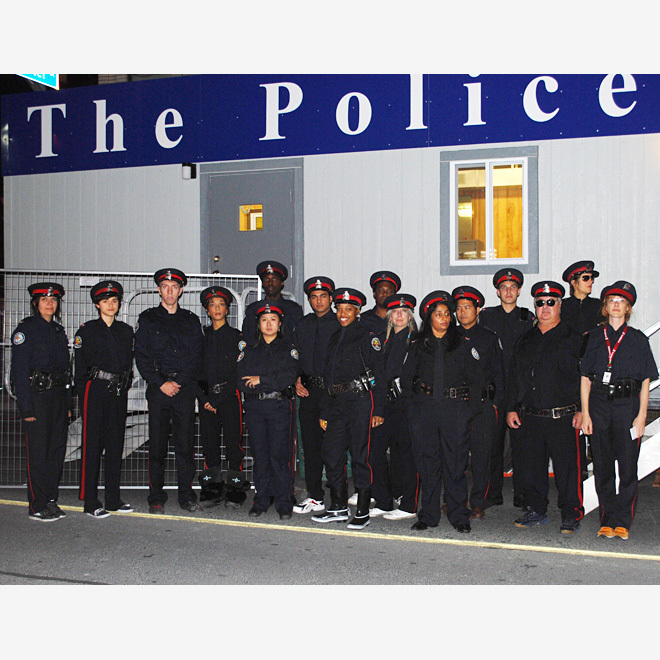 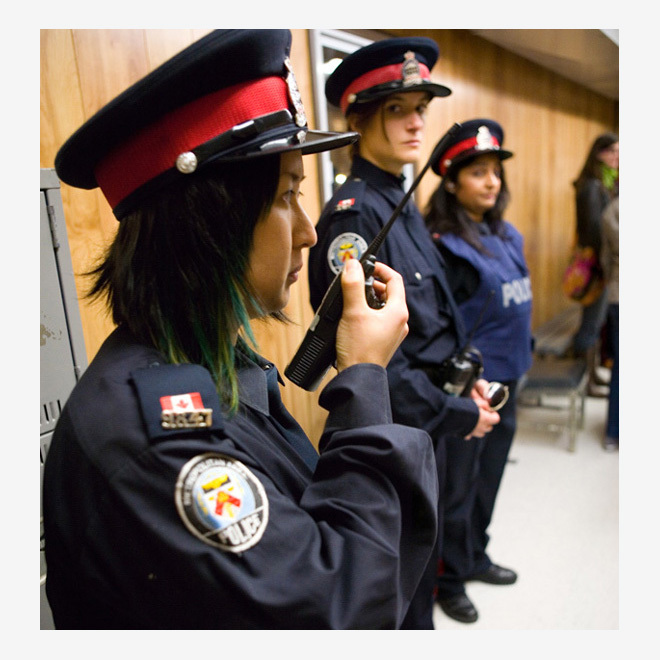 The location of the project was only a few blocks from areas that, a year previously, saw the largest mass arrests in Canadian history during the Toronto G-20 summit. 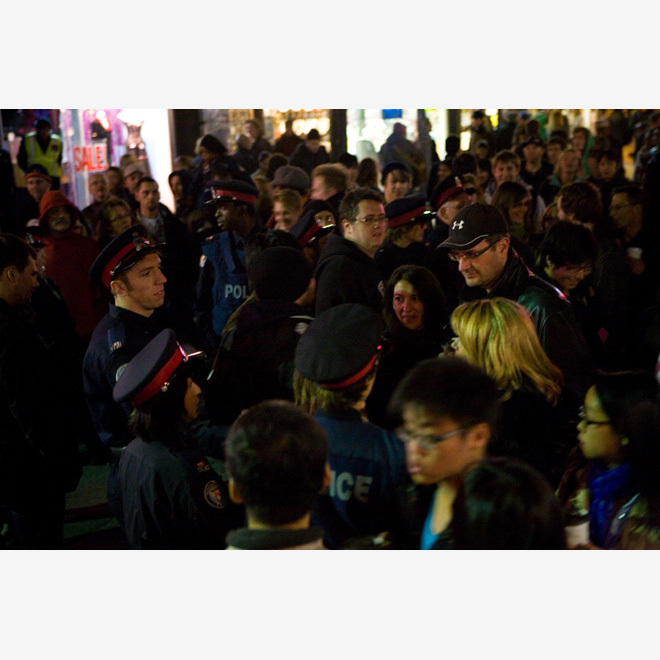 View bystander video of a group arrest here.